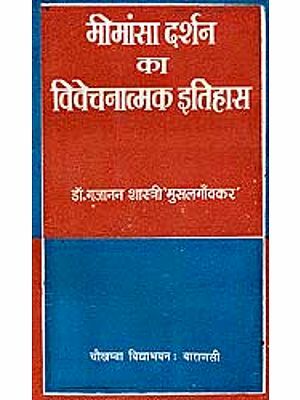 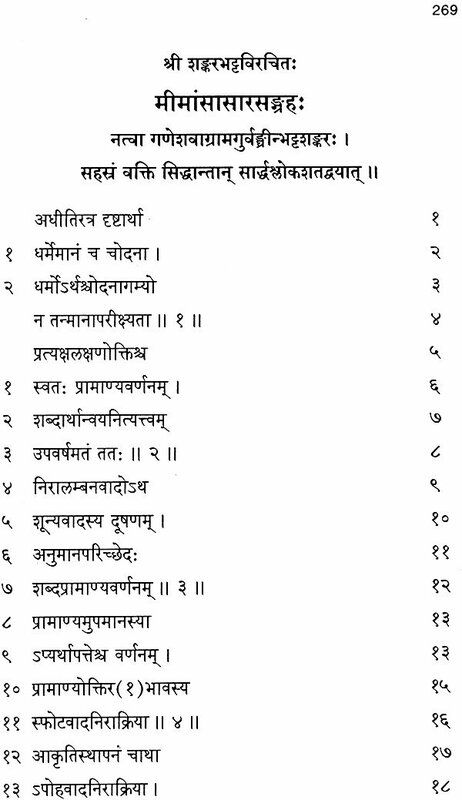 In this volume three very useful texts of Purvamimamsa are included. 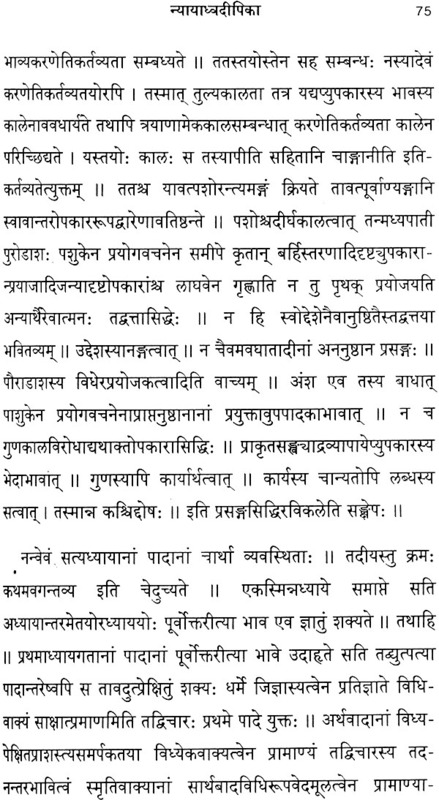 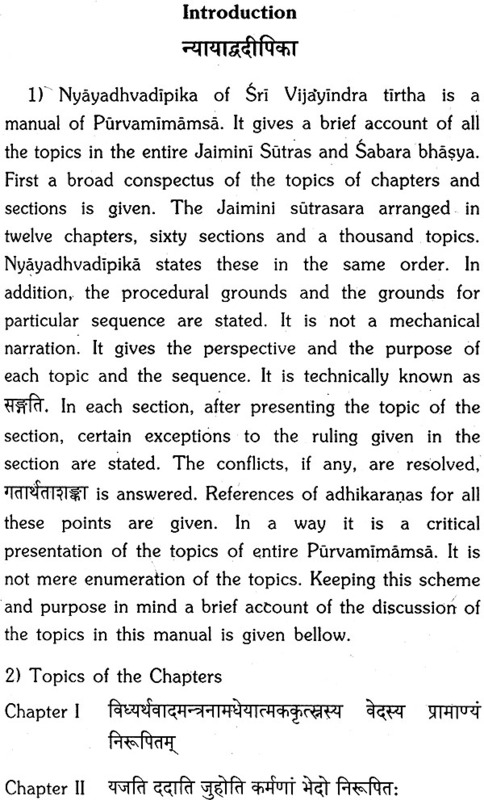 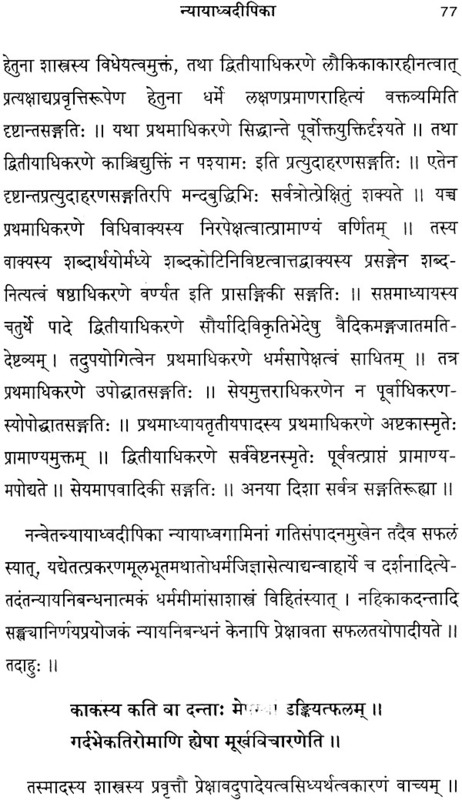 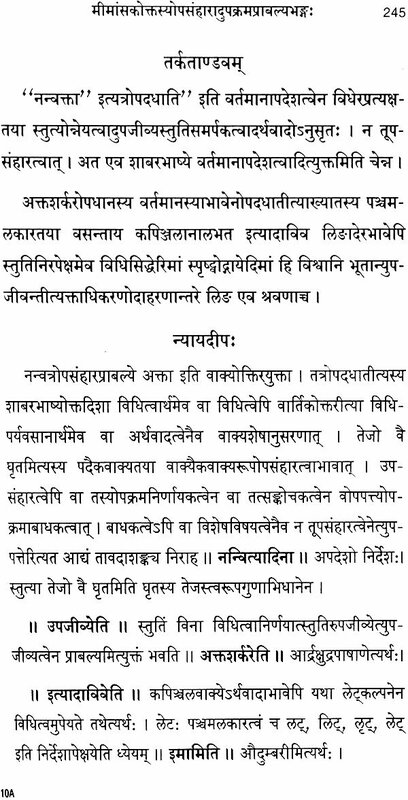 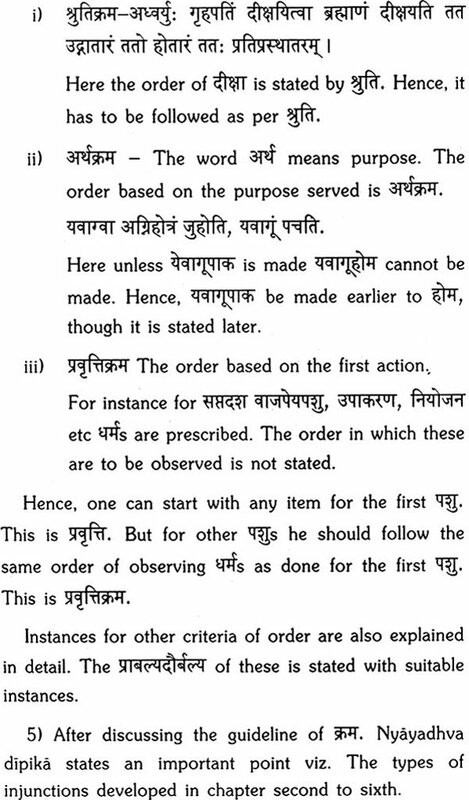 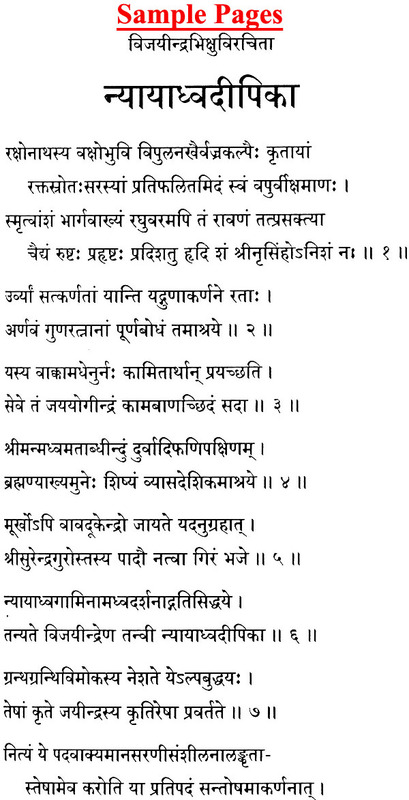 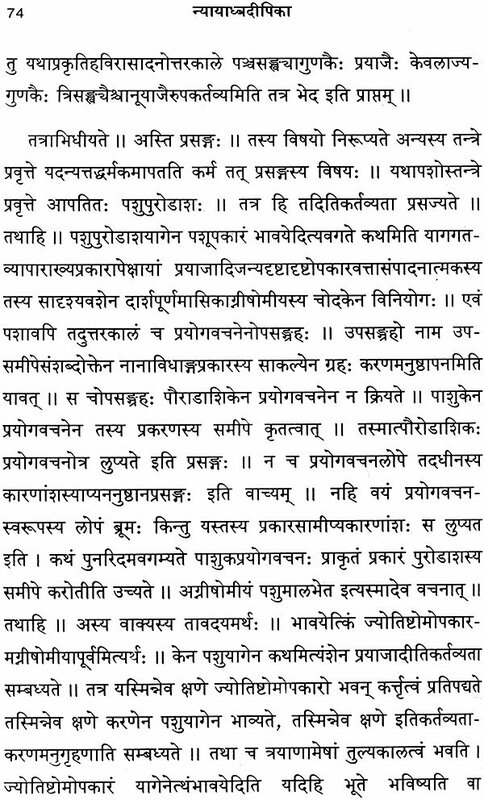 Nyayadhvadipika of Sri Vijayindra tirtha briefly mentions all the topics presented in the Jaimini Sutra of Purvamimamsa. 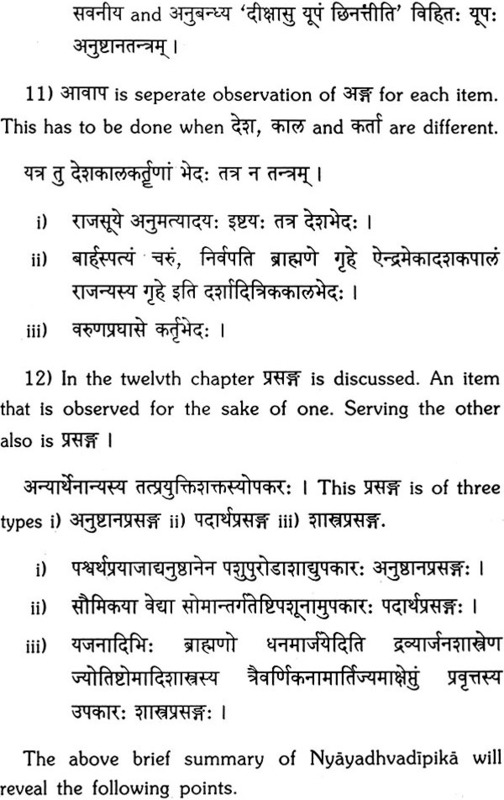 It is not mere listing of these topics. 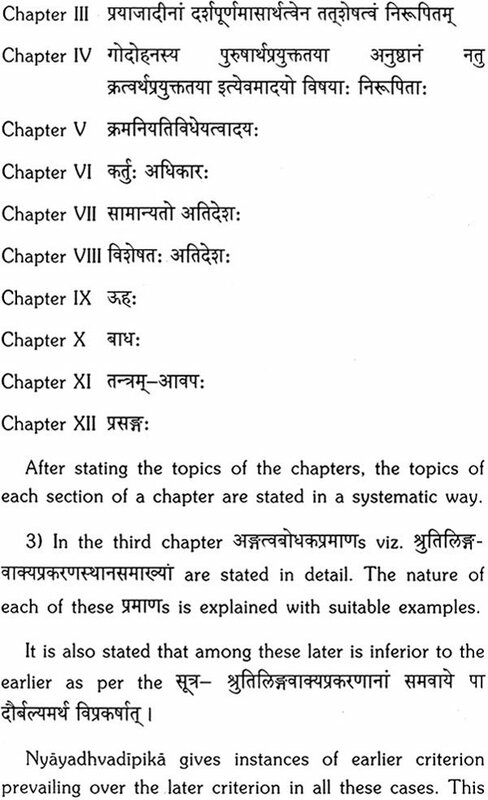 It is a crifical presentation pointing out the link and the purpose served by each topic. Apparent conflicts are also reconciled. Clarity and precision are its merits. 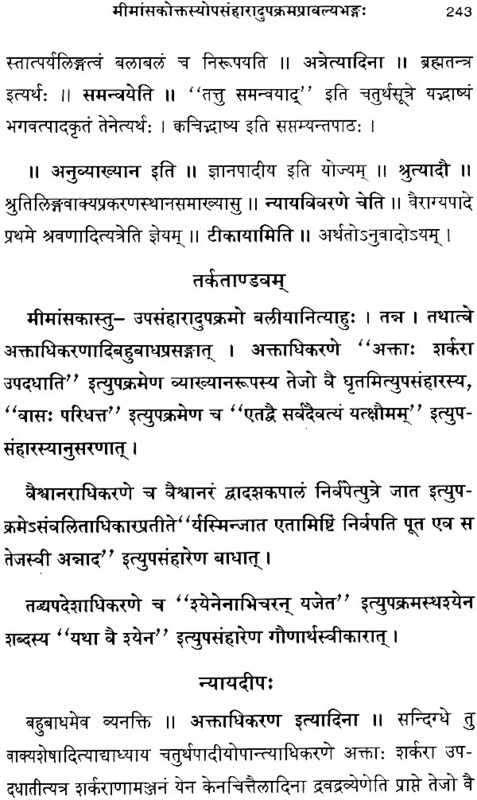 Upakrama Parakrama by Sri Appayya Diksita argues the preferability of Upakrama to Upasamhara. 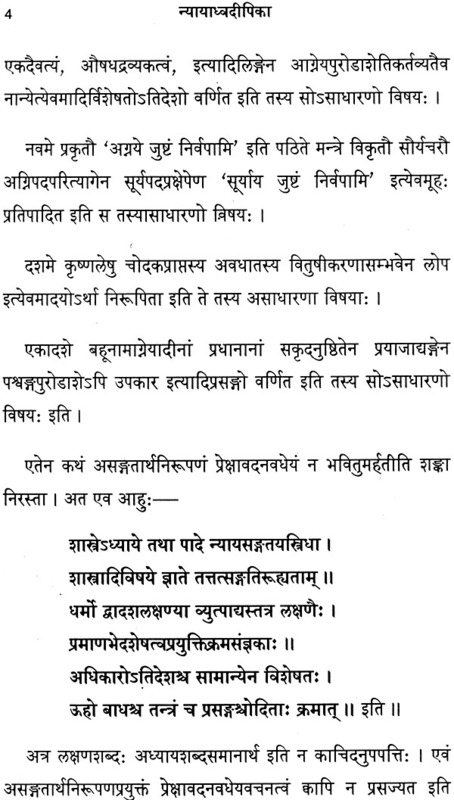 He profusely quotes from Purvamimamsa sources in support of his theses. 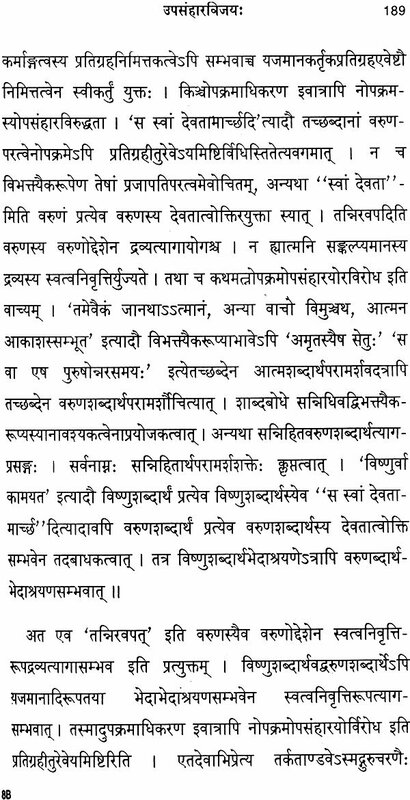 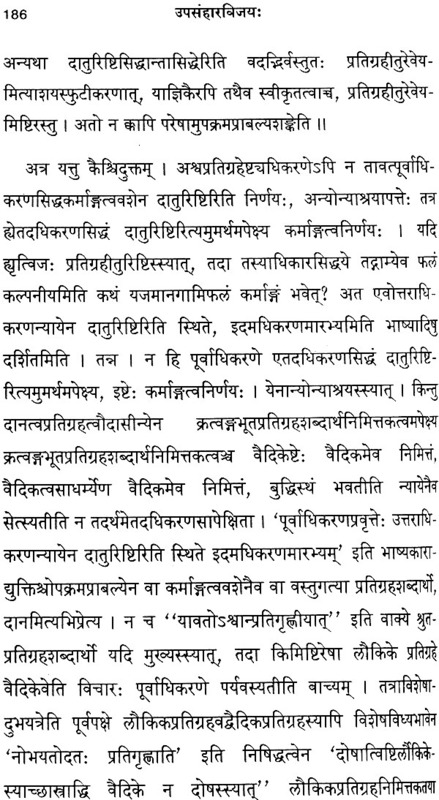 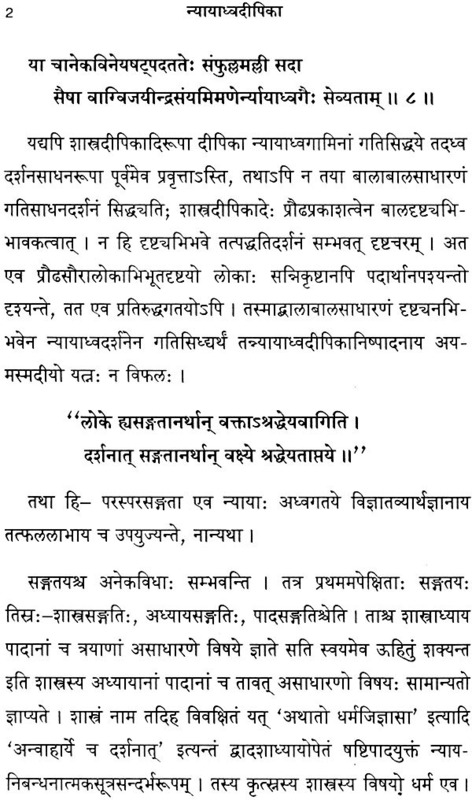 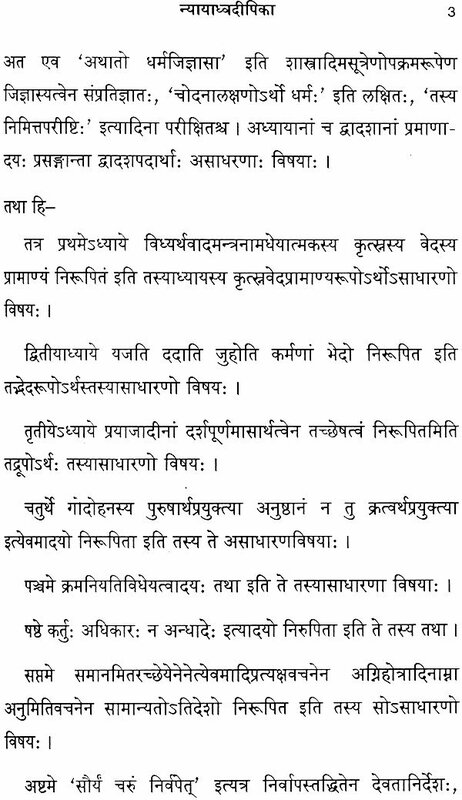 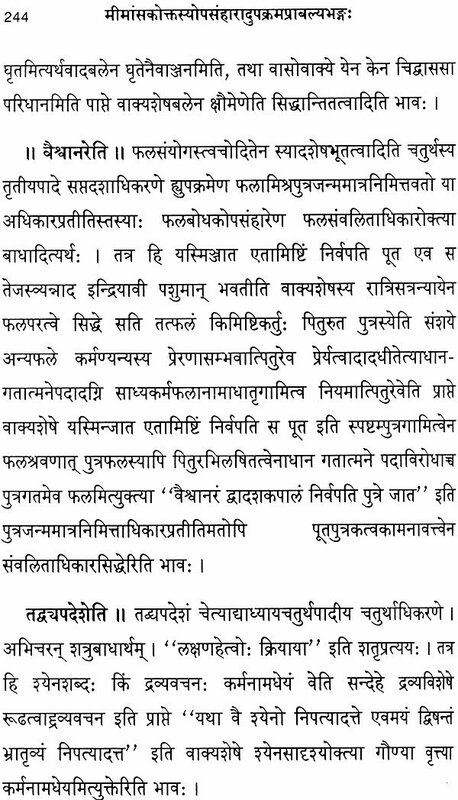 Upasamhara Vijaya of Sri Vijayindra tirtha refutes Appayya Diksita claim and affirms the preferability of Upakrama, he peruses through the jungle of Purvamimamsa references by Appayya Diksita. 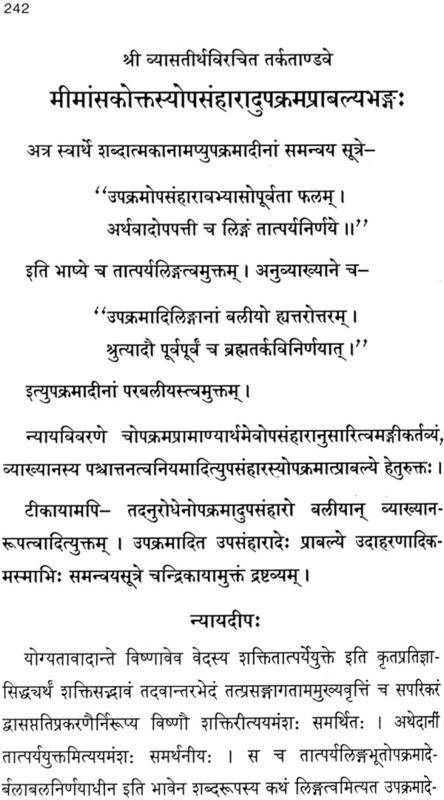 The source of this problem is Tarkatandava. 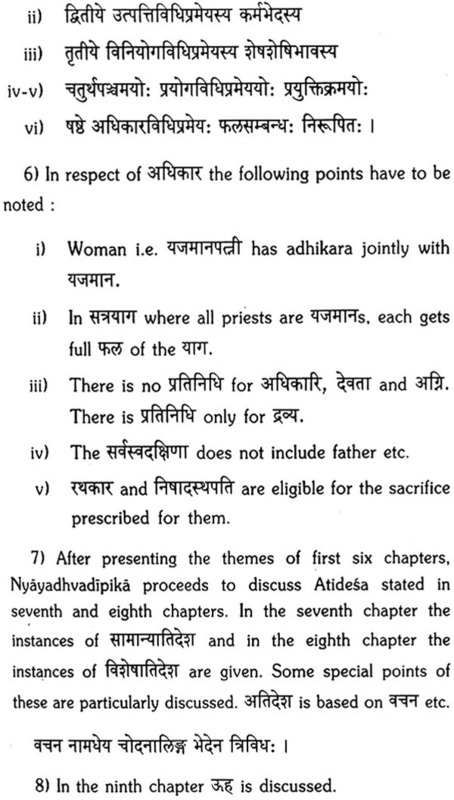 Hence, we thought that inclusion of the relevant portion from Tarkatandava will give a clear picture of this problem. A small text of Sankara Bhatta viz. 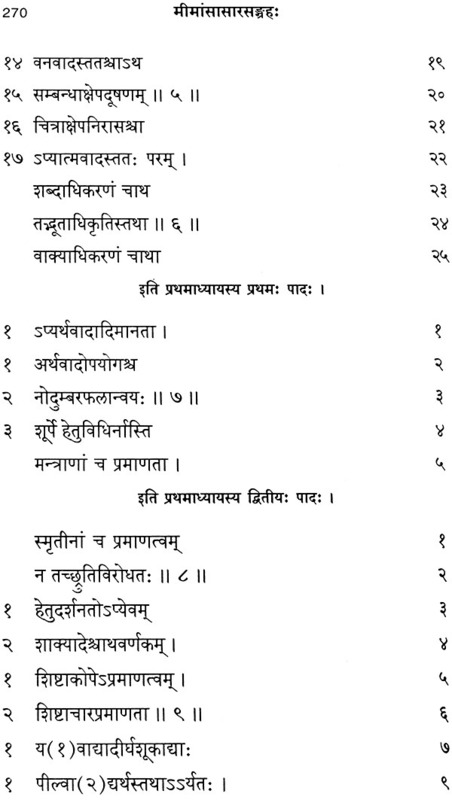 Mimamsa Nyaya Sangraha is also included in this volume for the ready reference of Mimamsa Nyayas. 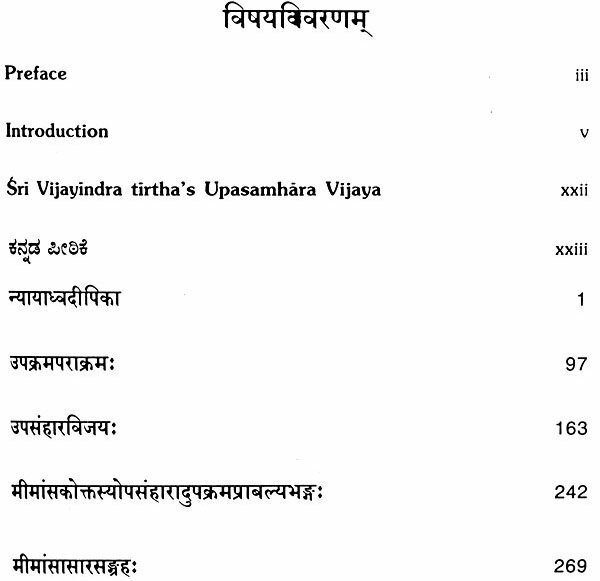 We thank Raja Giriyacharya and Raja Pavamanacharya for providing the manuscripts of Nyayadhvadipika and Upasamharar Vijaya. 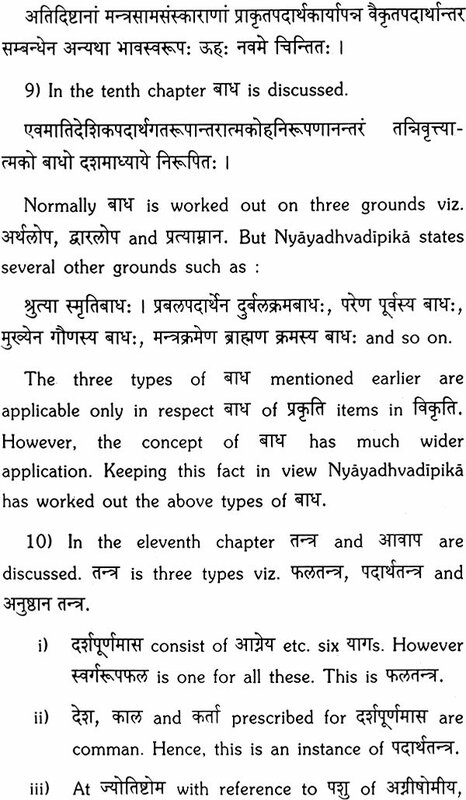 We also thank Vidwan Sheshachala Sharma for reading the proof. 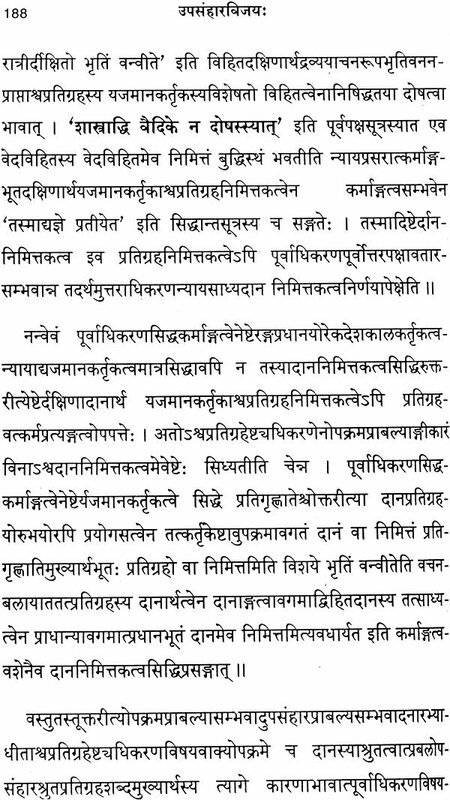 It is difficult to currectly read the old manuscripts. 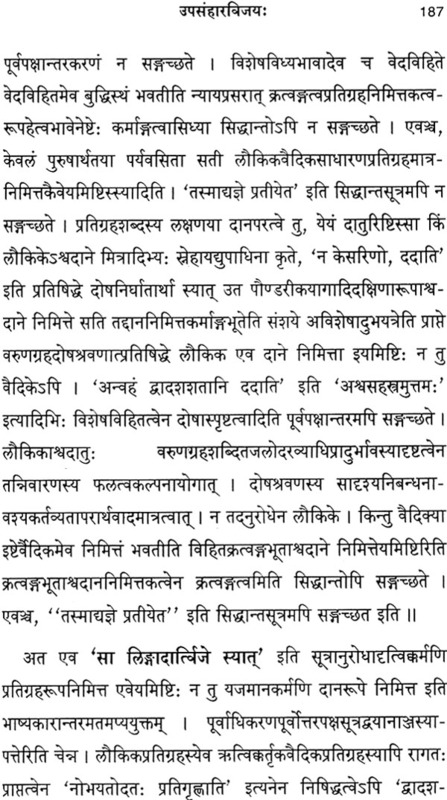 Vidwan Sheshachala Sharma gave valuable suggestion in this respect.